A set of stunning CSS hamburger buttons that smoothly transform into different shapes as you click on them in several different ways. A UI Kit designed for Bootstrap CSS elements crafted in a neat Material Design style including several buttons, checkboxes, radio buttons, toggles, drop-down menus, text areas, navigation elements, and stacks more. 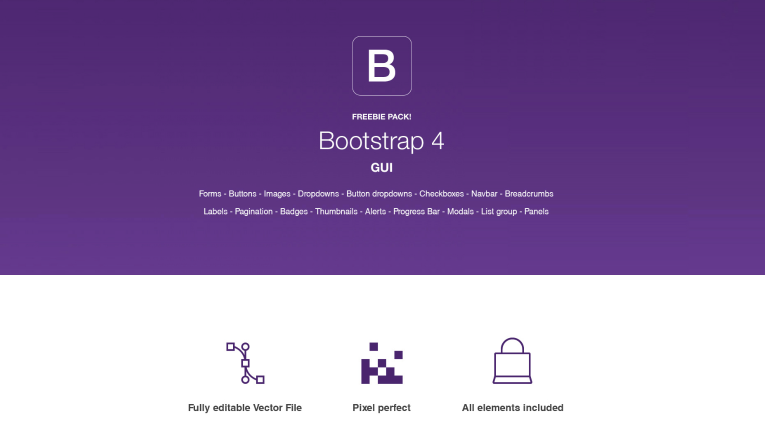 A full pack of bootstrap elements that comes in vector AI format with several sorts of editable and scalable elements.